Animal behavior is a bit confusing, confusing is probably the wrong term. In actuality when we try to impose human behaviors or emotions, it can complicate things on occasion. So I’ll do my best to help clear up some do’s and don’ts when it becomes necessary to sort out the right thing to do. When you spot a water turtle trying to make it’s way across the road, it’s instinctive to want to help. That is not a bad idea at all, many don’t live to complete their journey. The reason they are making the journey, most often, is to find a spot to lay eggs, or return to the water after laying eggs. 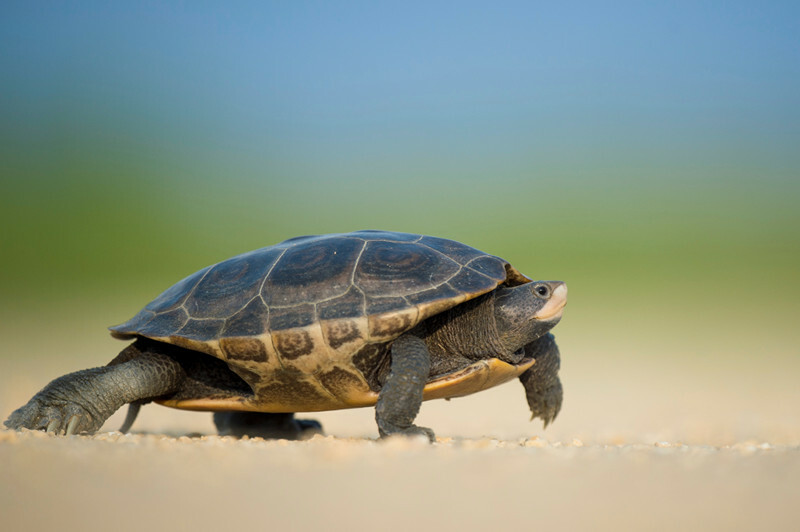 The female turtle knows exactly where she will lay her eggs, and exactly where she will return after doing so. The only mistake that can be made is attempting to change her path. In other words, always help the turtle to the side of the road she was heading towards. Taking her to the side of the road that may appear safer or closer simply means that the moment you leave, she will turn around and go back where she intended. Thus doubling her chances of being struck by a vehicle. A baby bird has fallen from the nest. 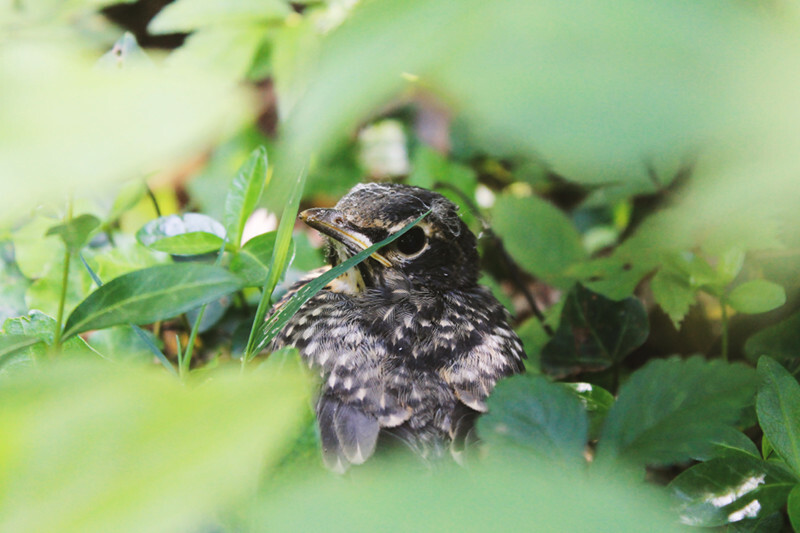 As much as scooping it up and becoming a foster parent seems like the humane thing to do, in fact, the bird’s chance of survival is exponentially greater when in the care of it’s natural mother. Survival skills and flight are better taught by the natural parents. If you’re concerned that the mother will reject the youngster, because it now smells like a human, don’t. Birds possess a highly developed sense of sight and hearing, but their sense of smell is extremely poorly defined. All wildlife have an excellent maternal instinct and few species would survive if the young were so easily discarded. Another time young birds draw human attention is during the fledging process, the time when they are learning flying skills. If you see a young bird having a difficult time flying, wait before acting. If you are present, parents will likely stay out of sight. Move away and stay quiet for a while more than likely you will see the parents following and feeding the young bird. They are doing exactly what they must to teach their youngster to survive. I found an orphan baby bunny what do I do? Most orphan juvenile rabbits become orphans because of the actions of humans. Here are some possibilities: first if you found a shallow hole covered with dry grass and fur, you found an active nest. Young rabbits have a large stomach capacity, mom will only be at the nest briefly, at dusk and dawn to feed. The rest of the time she is staying away from the nest to prevent drawing attention to the young. Slowly, when their eyes open they will make small trips away from the nest to eat vegetation. At this point the young’s only defense is to remain motionless to avoid detection of predators, so when you approach they will stay motionless. This doesn’t mean they need help, it means they know no other way to be unnoticed. If you see a nest nearby, they are fine and should be left alone. When they reach the approximate size of your fist, they are independent and mom has moved on to the next litter. 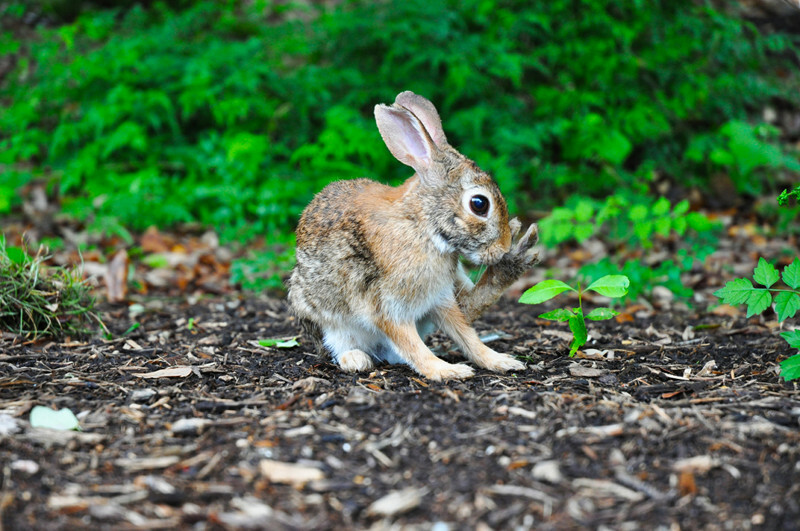 Another indicator is a white dot on the center of the rabbit’s forehead. They are born with this spot and it gradually fades and is minimal or nonexistent when they are ready to be independent. At this time they may still remain motionless when they feel threatened. As a rule, wild rabbits do very poorly in captivity, so avoid if at all possible, disturbing them. Still have questions? Contact Lisa! 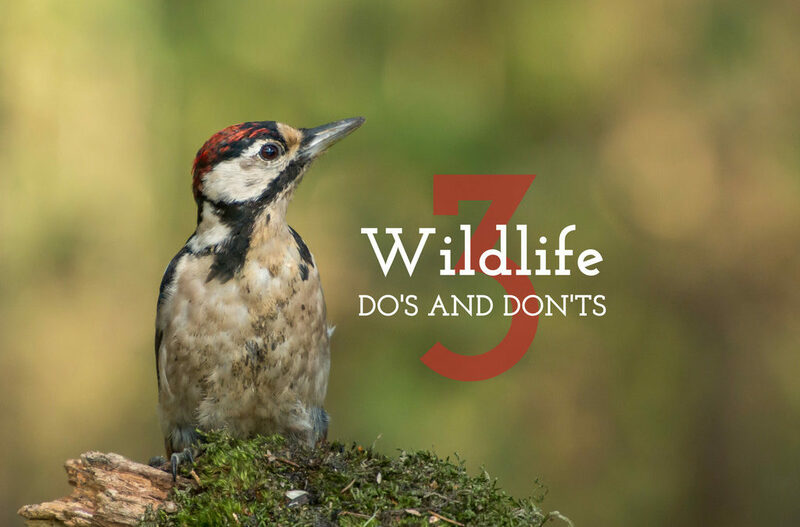 These are just a few of the most common reasons that people feel they need to assist wildlife. All life has value so being compassionate and helping is wonderful, in the right circumstances. The best rule of thumb is, whenever possible, let a young animal remain in the care of it’s parents. There are times when help is necessary, and a licensed rehabilitator is needed to take over the care of orphaned or injured wildlife. Do not ever put yourself in harms way if you must help. If you feel any reservation contact us. We can help or refer a competent rehabilitation volunteer to help. We are always here to answer questions. We respect and care for all wildlife and also the humans who interact with them.